The Creator, Owner and Manicurist Extraordinaire at Naturally Pretty Nails Boutique. When it comes to nail art, design, and ‘Naturally Pretty’ healthy nails, NyCole, ranks at the top of craft as a Manicurist Extraordinaire. Although NyCole had only spent 2 years “practicing” her craft, in 2012, she decided to make a profession out of it and share her gift with the world. 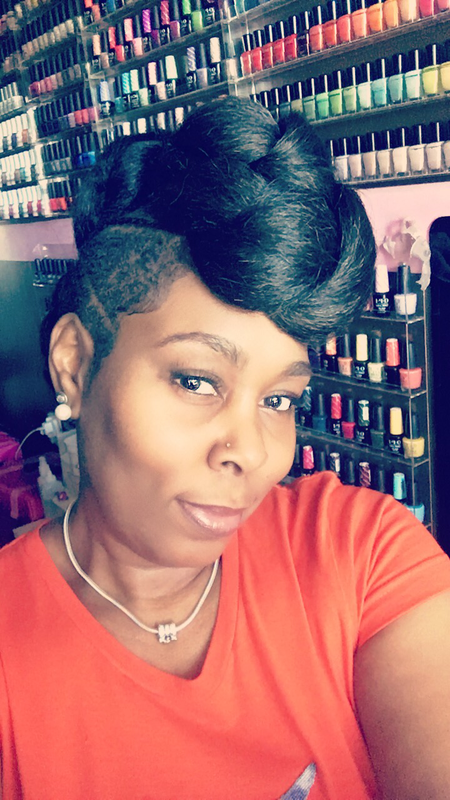 NyCole attended the Michigan College of Beauty Pivot Point in Troy, MI, received her licensing in 2011 and soon after launched her Naturally Pretty Nails Boutique. Because of her passion for nail care, natural products, and creative design, NyCole committed to selecting the best products and using the most innovative techniques on her most precious “GEMS” aka her customers. GEMS can expect high quality services that cater to even the most finicky in taste. NyCole and Naturally Pretty Nails Boutique makes sure NOT to come up short on class, creativity, professionalism and DYNAMITE customer service. NyCole has left no stone unturned by being certified as a CND Shellac Professional and creating her own organic line of delightful sugar scrubs, soothing cuticle oils and scrumptious body butters. Naturally Pretty Nails Boutique is reaching for the stars (in this case, reaching for their GEMS) by delivering the best in service and being committed to meticulous detail, energetic creativity, and total natural nail care and design. When asked why she thinks her Boutique is ranked above the rest, NyCole says because she believes that EVERYONE deserves to have “Naturally Pretty Nails”.